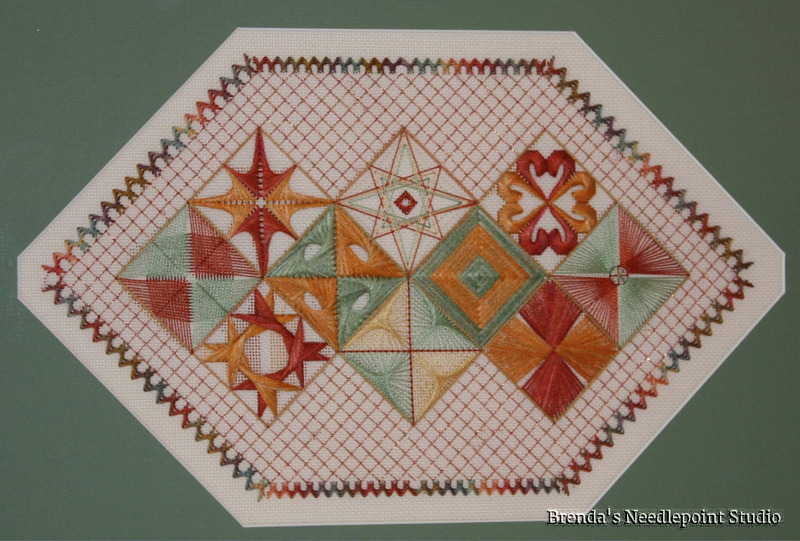 January, 2012--My second ANG Stitch of the Month mystery project taught by Ro Pace. This one was a real challenge, consisting of Jean Hilton stitches. They always seemed to be highly engineered stitches which take some concentration to follow, but so worth the effort. May, 2012--Won Third Place Ribbon for Mixed Techniques and Peoples Choice Award at the Rehoboth Beach Museum's Annual Needlework Exhibit. This second ribbon so surprised me that I asked the museum's director, Nancy Alexander, about this and she explained that most of the visitors to the exhibit were fellow needleworkers and could see the work involved. Gotta love our fellow stitchers!